True to form I have been slow in updating some great results over the last month. Blackmores Running Festival Sydney, held in September with a brilliant spring day, I was on the start line with 15 half marathoners from CanToo Mac Uni Pod, we had be training together for over 14 weeks, for some this was their first half marathon and others were returning. A really great performance by everyone with 5 of the group going sub 2hrs and a couple of others getting very close, everyone had great races. For those that know this race this was a massive running day with distances from 4k, 9k, half marathon and marathon. 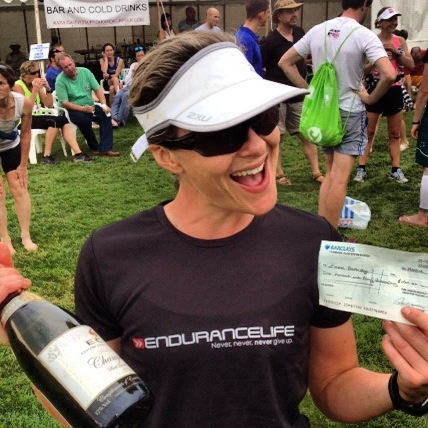 undoubtedly the best running event in Sydney (in my opinion). It was also great to see many CanTooers out on the course who had been training in various groups over Sydney. Excellent results particularly coming back from illness early in the season. 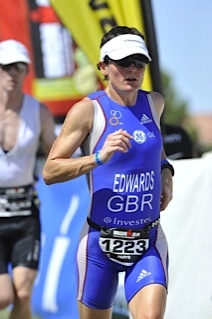 Parys, has continued her awesome form as she too prepared for Ironman 70.3 worldchamps. She is simply impressive the way that she always pulls out a superb performance every race. The girl is just unstoppable! 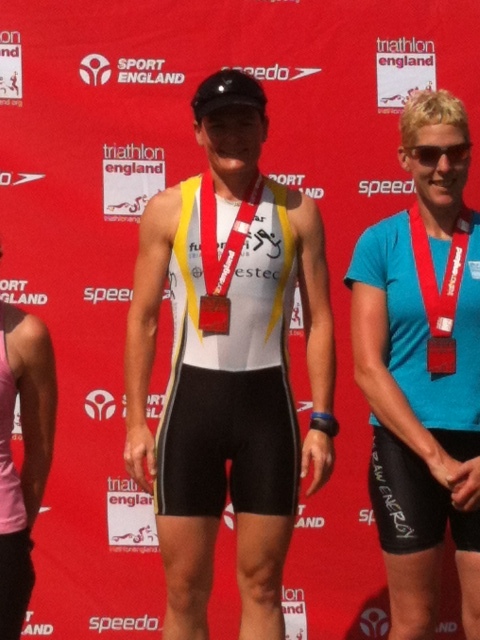 Half Challenge Henley, to round out the list both Iain and Claire returned to training racing after Ironman France earlier in the season, great results to return to racing with 4th in age 4:37 and 8th in age 5:46 respectively. It has been a busy a productive quarter with great performances, apologies if I missed any results. Em, happy with her prizes I am not sure which lasted the longest! 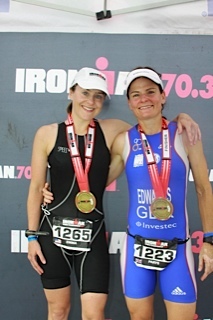 On the first weekend in June Cairns hosted their inaugural Ironman and 70.3 races, as winter was starting to bite at home I was happy to be heading to a warmer climate. At the race we had around 10 people competing from NSTC (Northern Suburbs Tri Club) and everyone found the racing tough particularly the run due to hot and humid conditions. Of particular importance for me Steve was taking on his first Ironman, with a good base and preparation behind. I was pleased to be able to cheer him on in the later stages of the run and see him finish achieving his goal. Also Bec took on her first 70.3 race and whilst I may be corrected on this, loved the challenge and stepping up to the longer distance. So safe to say achieved goals of finishing and having fun. 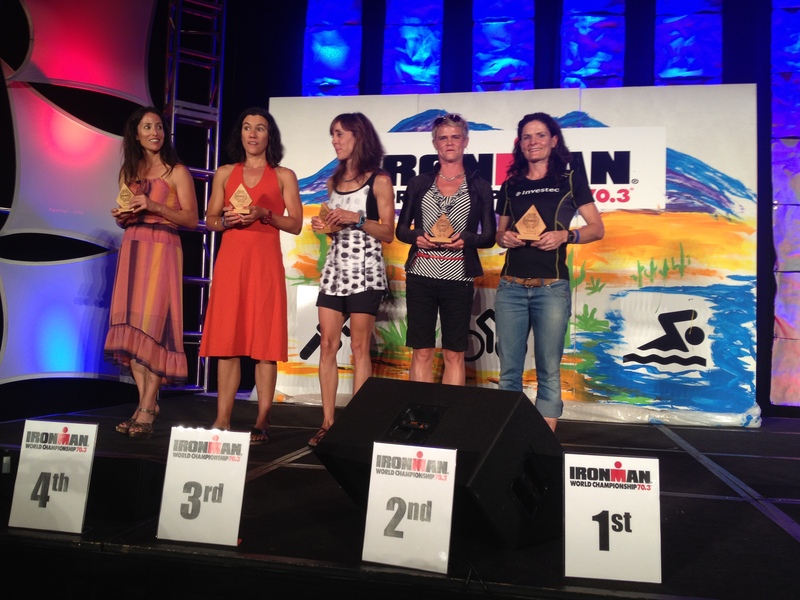 I dusted off my race shoes and gave the 70.3 a whirl although was not expecting great things, here is my race report. The swim, the biggest challenge was getting into the water as the steps were single file only and caused some stress as we all waited to enter the water, once on the start it was a very rough swim heading out to the first turn around, once turning I hung a few meters right of the field and had a much smoother swim. My best performance of the day was T1 where I had one of the fastest times in my age group sadly this did not help me too much in the overall standings. Onto the bike and all seemed to be going well as I settled into my rhythm and eating when at about 15k my spare tyre fell out and into my rear wheel. I noticed this in the nick of time to get off my tri bars as my rear wheel locked up and the rear of the bike was sliding all over the ride, fortunately I kept the bike upright, but the friction from the skid caused the tyre to explode! This required a full tyre change and very frustrating with so many people going past. I finally got going again however not long after the rear wheel felt spongy, rather than stopping again I continued riding, at the end of the race checking my tyre I would have had 40 – 60 psi in the tyre. The bike course headed north along the coast from Cairns and truly spectacular scenery. By the time I hit the run my goal time was well out of reach. I just set to running at my target pace keeping the nutrition in. I was happy with my pace and was moving forward in the field. The run course was hot running alongside cane fields which did not give much back from an inspiration aspect. On finishing I was done but had maintained a consistent tempo, despite finishing way down in the field I managed a top 20 run split in my age group so some consolation. Cairns is a great location for a triathlon with the benefit of a nice holiday post race, admittedly there were a few teething issues with split transitions, registration and water entry. Hopefully these will all be improved next year and I highly recommend this race. Over the weekend, I was conveniently on holiday in Port Macquarie, with the Ironman 70.3 in town. With a large contingent of NSTC (Northern Suburbs Tri Club) & members of my swim squad and friends competing I was naturally drawn to watching the race. I was ably assisted by Ben & Kylie from NSTC in cheering on the competitors. The buzz of race start is always something special, it does feel different watching and not racing but exciting none the less. The Swim was a mass start, with a mass of arms and legs churning up the water. On the bike we placed ourselves on Matthew Flinders drive (on the Hill), this is a great place to spectate and encourage competitors up a rather steep incline. The bike was 2 laps of undulating terrain. The run course again 2 laps and undulating terrain following the coast line. 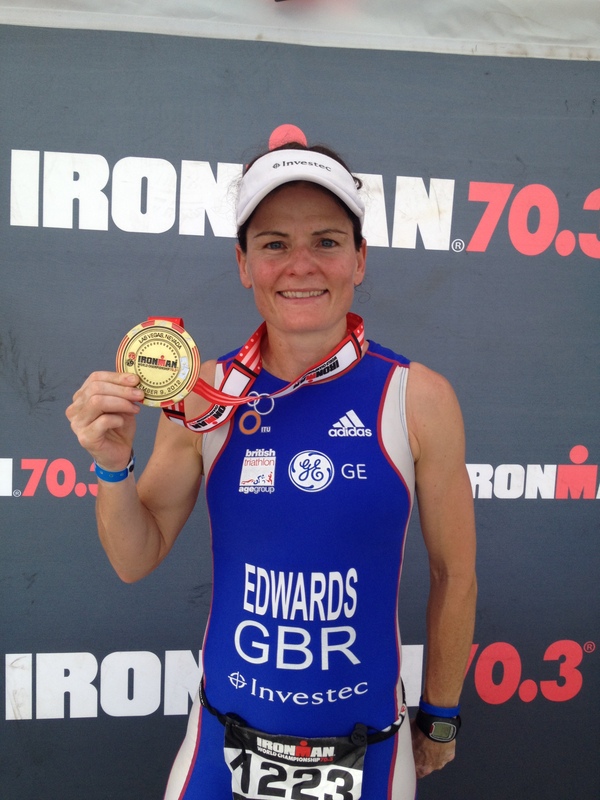 With a tough bike and run, this is clearly not your average 70.3 and challenges all competitors. I had a great time watching, cheering and enjoyed being able to get some good photos. All competitors rose to the challenge of the course with many that I spoke to achieving PB’s on last year. Port Macquarie is a great place to race or spectate, with the added bonus of plenty of good coffee shops near the start and finish lines to keep the spectators going. I will be planning to be back to watch the Ironman in May.